Joseba Mikel Olza, Leire López and Saoia Sánchez. It is with considerable anger that I must report that my very good friend and fellow Freedom Blogger Martha Colmenares has been threatened at her web site by an individual claiming to support the Basque terrorist group known as the ETA. The threat, which was sent as a commentary response to Martha's post "Photos of the Most Sought-After ETA Terrorists," stated "walk carefully, the gun may be pointing towards you one day." Intimidation is ugly under any circumstances, but especially so when it occurs in full view of the public. Martha Colmenares has contacted French authorities, given that the IP address of the user who made the threat was traced to France, and she has forwarded all necessary information. If anything should develop from this, I will post more. In the meantime, I express my full support for and solidarity with Martha Colmenares, a true Freedom Blogger. I have not written much about the causes of freedom outside of Latin America, given that so much of my focus is fixated upon the threat I see closest to home, but I am going to take this moment to show my support for the preservation of Israel as a Jewish state and to dedicate this brief space within my blog to express my outrage at the closure of a pro-Israeli blog in Spain as an act of censorship by the daily newspaper El Pais. I have only just learned of this development at the Martha Colmenares site and I am responding to her request for a show of support among bloggers everywhere to stand up and express their righteous outrage at the marginalization of pro-Israeli speech within a modern western European nation. The issue at hand is the closure of the "Stop Islamisation" blog at the El Pais online community after the blog accepted a prize for showing "Solidarity with Israel." It is an act of censorship which I regard as wholly unwarranted, given that there was no hateful speech, incitement to immoral conduct, or what could in any way be construed as a violation of the norms of conduct El Pais posts on its community site. No; this was an act of silencing pro-Israeli speech within Spain and on the web. That is an outrage. By way of a personal note I wish to add, the "Stop Islamisation" movement in Europe represents a multi-national effort to oppose actions among Muslims residing on the continent to take advantage of the tolerant attitudes of a multi-cultural Europe to implement Sharia law within their communities, which frequently results in gross and overt violations of national law, constitutional rights, and what can only be described as human dignity. Just check out the Google search returns on "Stop Islamisation" if you want an idea as to the extent of this popular response among Europeans. It is widely-expressed speech that deserves its place within the popular consciousness. 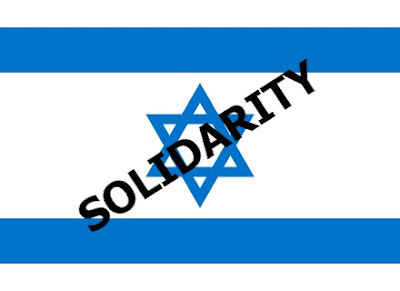 I will choose another moment to make my own statement of my desire for continued American support for Israel, a cause I advocate wholeheartedly, whenever I have sufficient time to address the delicate points with the level of sensitivity the topic merits. For now I stand by Israel and its supporters and I demand that their voices be heard. El Pais has closed a second blog on its site for showing solidarity with the "Stop Islamisation" blog. According to a new entry up at the Martha Colmenares site, a second site for Pinceladas de Cuba (I have the blogspot.com site linked in my sidebar at the right) posted an entry with a show of support for "Stop Islamisation" and was also pulled down by El Pais. 1. El Pais is Anti-Semitic. 2. El Pais is Anti-Israeli. 3. Both 1 and 2 are true. The hatred of Anti-Semitism is returning to Europe and El Pais is at the forefront of this terrible new development for western civilization. On numerous occasions over the past few years I have watched as many so-called "Human Rights Organizations" active in Latin America acted with near complicity to provide cover for leftist regimes, political movements, and even narco-guerrilla bands who repeatedly violated international human rights standards. In order to diminish international public pressure to curtail the excesses of these leftist agitators, and therefore to provide a breathing space for the fulfillment of their political aims, many of these Non-Governmental Organizations (NGOs) have betrayed the cause for which they ostensibly stand and have instead carried out a veiled program of concealment that places real support for human rights below that of a leftist-oriented political and cultural agenda. Some of the best examples of this complicity can be seen in the actions and attitudes of NGOs towards the FARC in Colombia, though there are others. In light of all this, I take pleasure in stating that the work of the Human Rights Foundation this year with respect to Latin America is a genuine breath of fresh air. Ladies and gentlemen, the Human Rights Foundation is the real thing. On August 9, I posted on the HRF's Tell Chavez campaign for the freedom of Venezuela's political prisoners, which is a worthwhile cause deserving of the support of lovers of freedom and democracy everywhere. In that effort the HRF set themselves apart from many other NGOs in their decision to cut Chavez no slack for his repeated human rights abuses and political skullduggery. The HRF also has been on top of recent events in Bolivia. In January they released an almost-forgotten critique of the inclusion of clauses establishing the constitutional legitimacy of what is referred to as "communitarian justice" within the Oruro Draft of the proposed constitution Evo Morales and the MAS are promoting as I write. If adopted, mob rule within some of the indigenous communities in Bolivia's west would become legal and we could expect to see crucifixions, lashing, corporal punishment, stoning and live burial of women for adultery, lynchings, and more become established constitutional practice under Bolivian law. And the HRF can proudly take credit for assuming the lead role in publicizing the case of Ecuadoran dissident Guadalupe Llori, recently released from prison for false charges of terrorism, sabotage, and embezzlement. With respect to other NGOs active in Latin America, even though there have been indications that Human Rights Watch has been undergoing a change of heart with respect to Chavez recently -- two of their representatives were expelled from Venezuela last month -- the HRF has stood nearly alone among foreign NGOs monitoring the cause of human rights in Latin America in its consistent condemnation of the widespread abuses of the Bolivarian regimes in Venezuela, Ecuador, and Bolivia. It is worth pointing out here that the organization's efforts in Venezuela have been especially dangerous. In January, Venezuelan jurist and HRF activist Monica Fernandez survived an assassination attempt that left her fiancé severely wounded with three gunshot wounds, one day after the Chavez regime declared her an enemy of the state. Not surprisingly, the Venezuelan government dropped the investigation into the attack. When you put it all together, the Human Rights Foundation's record of true human rights advocacy, achieved at the cost of facing down intimidation and violence, marks the organization as an exemplary undertaking of the human spirit that gives us hope that there may be a liveable future for humanity. Yesterday the HRF published its Informe sobre la situación de los Derechos Humanos en Bolivia (Report on the Human Rights Situation in Bolivia). The text of the report was released only in Spanish, and it was sent to Bolivian President Evo Morales along with an accompanying letter, which I intend to excerpt in part, as it provides a brief overview of the highlights of the report itself. to Bolivian President Evo Morales. Accompanies "Report on the Human Rights Situation in Bolivia,"
From the Human Rights Foundation (HRF) we respectfully address ourselves to you, in your capacity as head of state, to express to you our profound preoccupation for the growing wave of killings for political motives that is occurring in your country and for the continuous pronouncements emitted by you and by high functionaries of your government, whose content advertises war, defends racial hatred, threatens freedom of the press and tends to worsen the human rights situation in Bolivia. It is widely known that a great political polarization exists in Bolivia which was evidenced by the results of the referendums carried out over the last few months . . .
. . . This political polarization in Bolivia has heightened over the last weeks, bringing as a consequence manifestations of violence which up to now have left at least 21 dead and hundreds injured. Facing this situation, we view with preoccupation that the response of the government comes in the form of speech that incites more violence and which openly defends groups of civilians armed against persons and cities of the opposition. This speech continues fully charged with degrading adjectives such as "racists," "fascists," "separatists," "sellers of the country," "anti-patriots," "oligarchs," and "rightists." First, your constant verbal attacks are generating aggressions against the press on the part of your followers. During the protests for the devolution of the [revenues from the] Direct Hydrocarbons Tax, several journalists who covered the events were assaulted. Instead of condemning these aggressions, you and the spokesman of your government, Ivan Canelas, accused the PAT and Unitel television networks and the El Mundo newspaper of being "dirty" and "irresponsible." Second, President Morales, your consistent speech calling upon your political supporters "to die" so as "to defend the revolution" from the actions of the "coup supporters" constitutes propaganda in favor of war and incites political violence and puts the life of every person in Bolivia in danger. Finally, the official speech with which you disqualify those persons who are not in agreement with the policies of your government seeks to silence the political leaders of the opposing departments, threatening the right of political participation. . . .
. . . the use your government makes of the language in your speech gives rise to a much more serious connotation than the merely political. In effect, President Morales, the HRF also wishes to express its preoccupation because your political speech disqualifying the opponents of your government would also promote racial hatred on the part of the national majority of Bolivia's west, namely, persons of "Aymara" or "Quechua" origin, against the national minorities of Bolivia's east and south, namely, "Cambas" (Indians or Mestizos of Bolivia's east) or "Chapacos" (of the Department of Tarija) who live in the majority in the departments opposed to the government . . . We have seen the signs of racial hatred against the "Cambas," such as in the city of El Alto in the Department of La Paz (http://www.laprensa.com.bo/noticias/12-09-08/12_09_08_poli5.php), as in Internet sites which support your government (http://bolivia.indymedia.org/search/node/cambas), and we fear that this is reflected in your speech. . . . The report itself presents the evidence substantiating the charges made above in much greater detail. It is sixteen pages long and is divided into five main parts: "Antecedents," which gives an overview of the recent background to the political polarization that now exists in the country, primarily related to the autonomy referendums, the proposed constitution, and the results of the revocatory referendum votes; "Passing Events Between August and September, 2008," which examines the inter-departmental strike of the five eastern departments to force the devolution of the revenues of the Direct Hydrocarbons Tax, coupled with Morales's failed attempt to convene a national referendum on his constitution by executive decree, including the manner in which the protests degenerated into the forcible takeover of government offices, actions which the HRF disapproved of in its own statements; "Violations of the Right of Freedom of Expression," in which the HRF reviews the numerous attacks against the press, including the encitement to violence against the media on the part of the government, as well as the official promotion of racial hatred; "Deaths in Confrontations for Political Motives and the Danger of Larger Violence," where the HRF presents the story of the violence of September 11-13 in Pando, especially with reference to Porvenir, as well as the armed march of Morales supporters against Santa Cruz de la Sierra, which came to a head between the 23rd and 25th of September. And finally, a concluding section containing the HRF's recommendations for a restoration of the observance of human rights in Bolivia, which are largely reflected in the excerpts quoted above. There has not been any official reaction as of yet coming from the Morales regime, and I expect they will chose simply to ignore the report. Its major impact may be that some discussion will ensue within Bolivia and the region. The La Paz daily newspaper La Razón did publish news of the report, which does make its overall content known to the Bolivian people, but without a public discussion of its particulars it may not go very far. But what may be most important is that there is a documented version of the events in Porvenir and the armed march against Santa Cruz that can now be cited as a credible source of information. This may not seem like very much, but some of the most important work human rights organizations perform lies within the documentation they provide of significant events which are not always covered in the major media to the full extent they deserve. Reports such as this one are circulated among many international organizations and the list one can see attached to the cover letter sent to Evo Morales makes this clear. It is at least one small step out of the darkness. Within the blogosphere there is a little reaction. The MABB blog has posted news of the report with the unusual comment that the report is "amusing," which I take to be a reference to the unlikelihood that it will have any effect upon Evo Morales, who is not known for responsible conduct. MABB has also pointed to Morales's desire to rid himself of international contacts as a necessary step towards the achievement of his program, so this would seem to fit. Bolivia Confidencial merely published the cover letter I excerpted above with the comment, as I translate, that it is "an important document" that "was not wasted." And Martha Colmenares presents the HRF's own case to Spanish language readers on her site, which has followed recent events in Bolivia much more closely than many others and which I must recognize as presenting me with the very best coverage I have found thus far. I have one new item to add on the HRF, which I would like to include here as important information by way of an update. One very important part of the HRF's work is their attempt to remain apolitical when engaging in human rights advocacy and I have two examples to hold in comparison which make the point. The case of Guadalupe Llori, which I cite and link above is an instance in which the HRF stood up on behalf of a political activist one would place within the left of the political spectrum. In contrast, their advocacy on behalf of the Caracas Nine -- who are a group of nine Venezuelan dissidents from various walks of life who have suffered persecution at the hands of the Chavez regime in numerous ways, from imprisonment to torture to public intimidation -- might generally be considered advocacy on behalf of activists one would place on the political right. 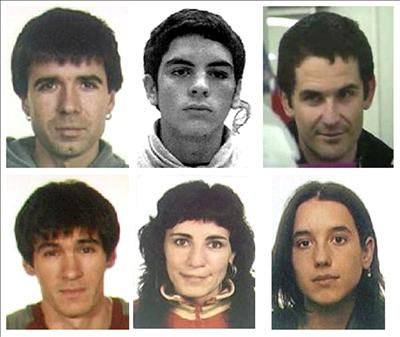 I really ought to do an entry on the Caracas Nine. I think this point is significant enough to require an update.